Monday, I am not yet ready for you. Instead, I would have loved to have stayed in bed until late dreaming about Christmas because quite frankly, my countdown began as soon as November was coming to its end. Is there anything better than to celebrate the Saviour's birthday with the family and good food? I think not. 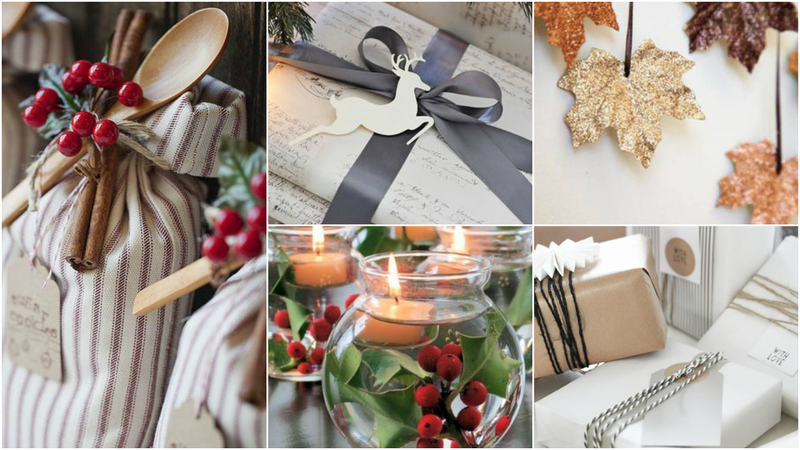 Christmas is by far my favourite time of year (if you haven't guessed it yet); the decor, the food, the love and the shopping are all things I love. I'm slowly but surely decorating the house, and these are some of my inspirations. Enjoy! 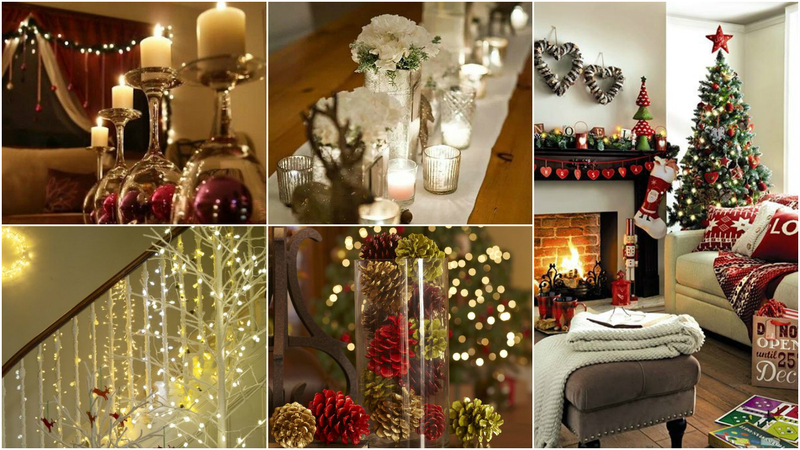 Have you decorated your house yet? Are you excited about Christmas? Let me know below. Have a nice week ahead beauties! Great decorating ideas! Thanks for sharing! So many beautiful ideas! I'm yet to decorate my home but hopefully I'll get started today. I can't wait to light a few festive candles. Amei o post, super lindo. I love decorating the house for Christmas, even more so now that my daughter appreciates it at least a little. This has made me even more excited for Christmas and going home to see my family! So beautiful inspiration. I especially liked those candles. Hi, dear Pam! I loved the ideas you posted! I am having such a busy November and December that I confess I just got a small Santa Claus out of a drawer :) But for Sunday I will have more decorations, I hope! Hope you have a very nice week! I love this post. Weird how I've just decided to redo my whole room and all of a sudden I find so many brilliant posts with so many things I want to buy. This makes everything much harder. But I'm loving every piece. I feel like most of them aren't just for Christmas and can be easily adapted. Our Christmas tree went up last week and the presents are slowly being wrapped! I wish our decorations are half as nice as those in these pictures alas, I am not as creative. LOL! How cute are the reindeer tags! I got the nicest paper from Paperchase this year, can't wait to wrap some presents! Ahh those pictures are like a winter wonderland! I have yet to start decorating my house I feel like I still have so much to do and December just seems to be flying by! I wasn't ready for monday either :p I'm really excited for Christmas too - loved these inspirations !! Can't wait to start decorating the home with my mom! This is such a festive post Pam! It's really got me in the Christmassy spirit a little more. 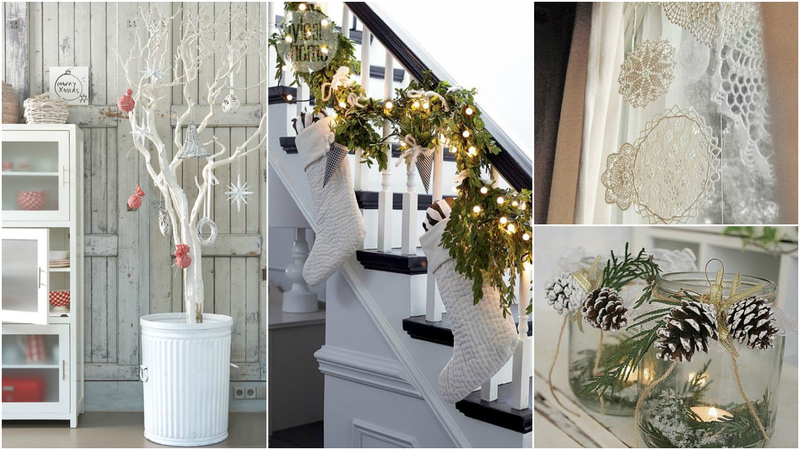 My favourite image has to be the black and white staircase, with the green tree decorations. Honestly, that is my ideal staircase and I need to keep a mental note of that for when I move out. Beautiful and inspiring ideas, Pam. 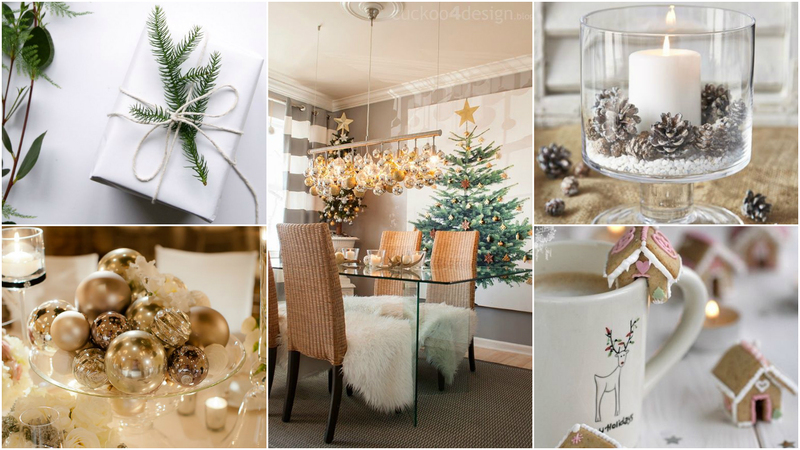 This decorating ideas make me so much excited for Christmas! Thanks for sharing! Also, Thanks for commenting on Qing's Style. Please always keep in touch! I love these ideas!!! Totally love the white tree. One day I hope to get a pure white Christmas tree.. but until then I'll only dream. Great images and totally inspiring me to decorate my home.